Andy Beattie lifts the famous old trophy for Barry Town in the 1993-94 Welsh Cup Final over Rick Wright’s Cardiff City. To his right are David D’Auria, Bobby Smith, and Ashley Griffiths. This was Barry Town’s second ever Welsh Cup Final appearance, and victory, but many more would be just around the corner. 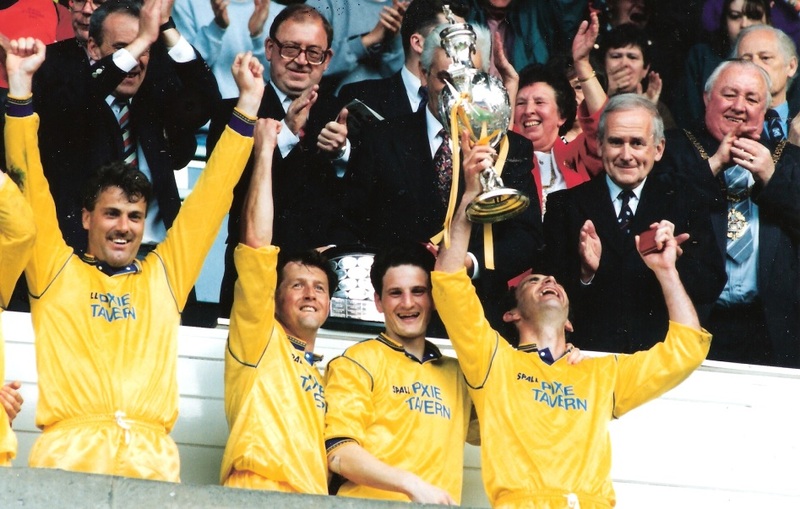 Andy Beattie lifts the Welsh Cup for Barry Town at the National Stadium, Cardiff, 1994.